At the fish counter in Central Market, they carry these little tubs of gorgeous, fresh crab claw meat… Every time I go in, I stare longingly at them, wishing I knew how to make something other than crab cakes. Well, the day has finally come… I ran across a Martha Stewart recipe for a salad with peaches and crab meat, so I adapted it last night to be Paleo-friendly (and to my liking!). The only downside was that it took a little longer than I planned, so I was on the ravenous side when I finally gobbled it up. I also had to stop myself from just eating the crab meat straight out of the tub. Don’t tell. 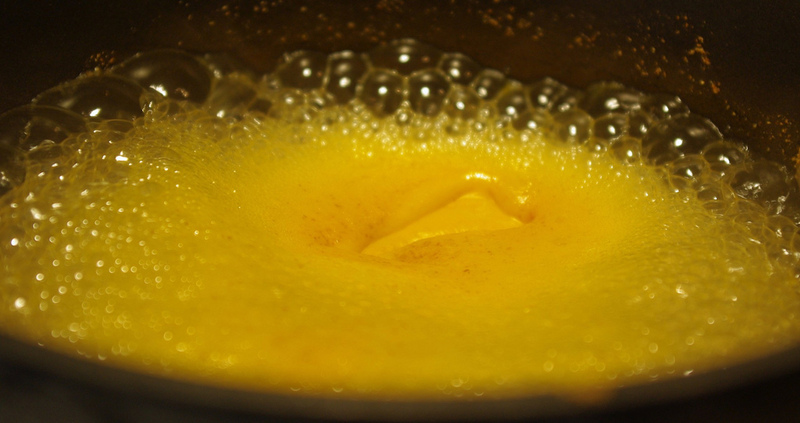 Combine orange juice, agave nectar, and coriander in a small saucepan and bring to a boil, stirring regularly. Remove from heat, cover, and let cool for 30 minutes. Strain dressing and add lime juice. Combine peaches, jalapeno, chile, shallot, mint, and 1 cup of the orange dressing in a bowl and let stand for 30 minutes, stirring occasionally. In a separate bowl, add crab meat and drizzle with olive oil. Season with salt and pepper to taste. Add peaches to crab bowl using a slotted spoon, reserving the dressing. Add spring greens, 1/2 cup of reserved dressing, salt and pepper… Toss gently. Vegetarian? Just omit the crab meat… the salad stands wonderfully without it! Be the first to get updated recipes and more! I was lucky enough to have a helping of this very salad, and I can attest to its deliciousness…even without the crab meat (I don’t eat seafood…). Keep it up paleobetty, especially while I’m staying with you so that I can enjoy your epic creations! You’re turning this carb lover into an aspiring Paleo-i-vore. Mmmm, I love the crab at Central Market. This gives me an excuse to buy it again. Can’t wait to try it! Yay! I’m going to have to find some more recipes for that crab… it’s stinking tasty! How much do you really love bacon? I hate to have to even say it, but in this day and age... yada yada. ;) This is original content - please don't use or copy this material without permission. That said, I love it when you spread the word, so please feel free to excerpt and link to the blog - just give the credit where it's due by linking back appropriately. Thanks!